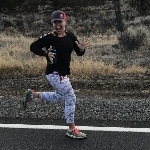 I am a mother runner living the dream in the Pacific Northwest. After completing all race distances from the 5k to a full marathon, including relay races, I decided to branch out into the world of triathlons. This spring will be my very first half IronMan race. I love racing for a cause because I love giving back to something that has given me so much. I am really excited to work with the IronMan Foundation and all the good work they have done and will continue to do. Each year, a select group of athletes from around the world race on TEAM IMF to support the mission of the IRONMAN Foundation. Together, we share a passion to create positive tangible change in our race communities and prove that "Anything Is Possible." Since 2003, over $50 million has been provided through IRONMAN charitable giveback programs including the IRONMAN Foundation to more than 8,300 local, regional, national and global nonprofit initiatives. Through these partnerships, IRONMAN athletes are powerfully linked to the community and together we leave the IRONMAN legacy behind in our race communities long after race day. We #RaceForMore. LEARN MORE about the IRONMAN Foundation's giveback around the world. WATCH the IRONMAN Foundation's service project videos.